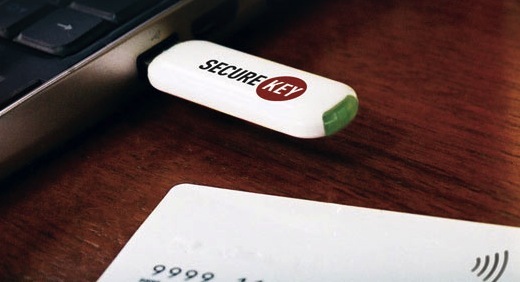 SecureKey, a Toronto, Canada-based security solutions company, has secured $30 million in a financing round led by Intel Capital. New strategic investors who participated in the funding round were Visa, MasterCard, Discover Financial Services, Rogers Venture Partners and TELUS. SecureKey offers online and mobile authentication solutions to e-commerce companies, e-health organizations, financial institutions and governments. Its software and hardware solutions basically allow consumers and businesses to use real-world payment and identity credentials with their computers, laptops, tablets and mobile phones to enhance online security and payments. Intel Capital led the round because SecureKey is currently working to deploy its solutions in Intel Identity Protection Technology beginning on Ultrabook devices later in 2012. Intel Capital, which is the chip maker’s global venture capital arm invested in SecureKey a first time in February 2011.